I think that it would probably be fair to say that outside the USA, the Oldsmobile 442 has been one of those performance cars that has flown under the radars of many people. I mean, any car that rolled off the showroom floor with 350hp on tap, and the ability to cover the ¼ mile in 14.5 seconds could never be considered to be shabby. And yet they have remained in the shadow of cars like the Mustang, the Camaro, and the Challenger. Barn Finder local_sheriff spotted this 1968 model for us, so thank you so much for that local_sheriff. The 442 is located in Eden, Utah, and is listed for sale here on eBay. Bidding has reached $3,092, but the reserve hasn’t been met. Speaking of shabby, that wouldn’t be a bad word to describe the appearance of this 442. Don’t be fooled though, because underneath, this is a pretty solid car. There are some photos of the underside of the car, and the floors and frame look good. There are also a couple of photos of the trunk, and that also looks solid. The rust that will need to be dealt with is all visible, and it’s all pretty typical. There’s some in the quarter panels, the rockers, and the lower fenders. The grille is also missing the center section, but otherwise, the car does seem to be complete. Time marches on, and it seems to have marched right through the interior of the 442 wearing hob-nail boots. Everything is pretty badly shredded, and a full restoration is in order. The owner does give you a bit of a start, as there is a new full carpet set included with the car. 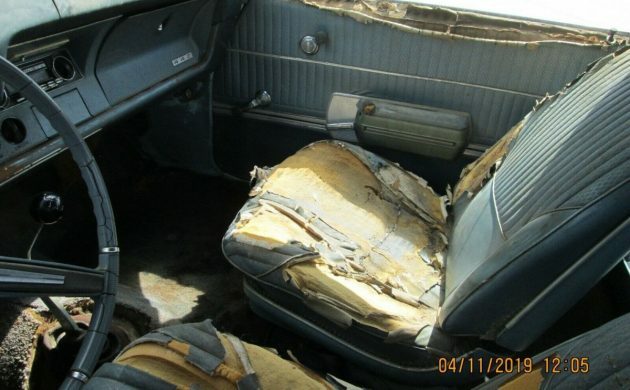 There are also sundry other parts like a heater core and two 1968 Oldsmobile repair manuals. The tired appearance continues under the hood, but once again, don’t be fooled. While it might look tired, the 442 is in good health and is said to run and drive well. The numbers-matching 400ci V8 is backed by a 4-speed manual transmission, while you also get power steering. The owner has flushed the fuel tank, fitted a new radiator and hoses, along with a new battery and new belts. He says that everything works as it should, although the shifter is a bit stiff. 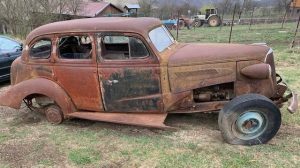 He also says that you could drive the car as it is, but advises any prospective owner to replace the fairly ancient tires before they drive any great distance, or decide to hit the highway. The car also comes with a full set of NOS fuel lines for the new owner to install. As I said, the Oldsmobile 442 has been a well-kept secret outside the USA, but this is beginning to change. They are a competent performer, and fully restored examples have the tough good looks to match that performance. 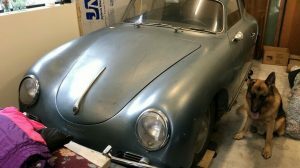 This one will require complete restoration, but the end product should be one pretty special car. This 442 seems to be getting a well deserved resurrection. Seller seems legit. New owner will have some work to do, but looks worthy. The Olds 442 isn’t necessarily a US secret. Here in Canada, we have followed and respected all Olds performance cars for decades. The 442 has been one of the most coveted. This ‘68 shows promise. Don’t be surprised if it heads north. 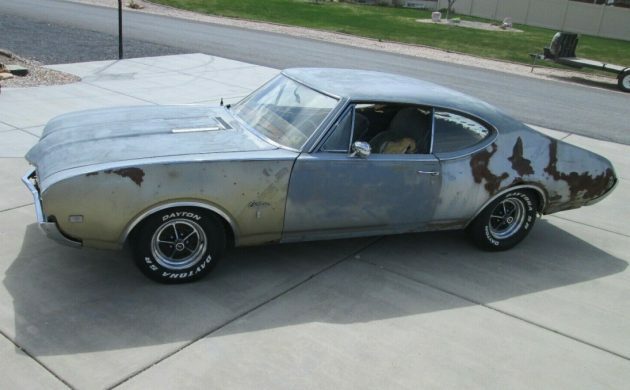 I would gladly take on this project ’68 “442” four-speed over that ’70 Nova “SS” automatic any day. Don’t know what ‘outside US countries’ editor refers to, personally I’ve always known of the 442. Growing up in nortwestern Europe, I had a childhood friend whose much older brother bought a pristine 70 Cutlass Supreme in 81. I was 4 years at the time so I believe it was the first American ‘muscle car’ I ever spotted. 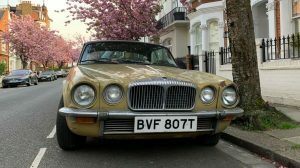 His Cutlass was soon replaced by an even hotter chicken yellow with white interior 70 442 ‘vert, hence 68-72 442s have always ‘meant’ something to me. Though I’m a bowtie guy by heart, I’ve always been on the lookout for corporate siblings as many of these have similar properties to the Chevy versions while also being more ‘unusual’ and offer great value for money. How much wouldn’t one need to cough up for a similar 68 Chevelle 4spd…? Love this 442. Worthy of a resto, running and with a 4 speed. Good luck to the new owner!! Is this a 5000 plus car? It is the most popular year but still cool. 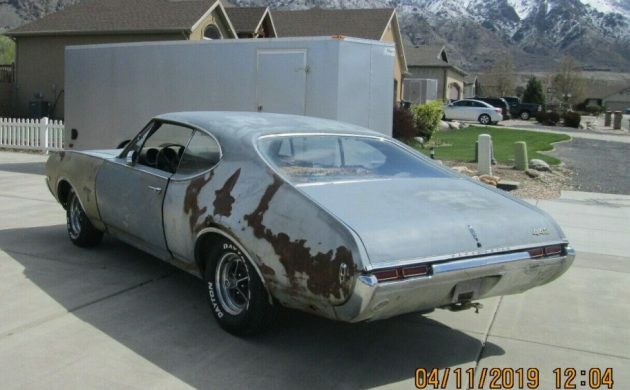 This Olds seems like an honest deal James.LOTS of work ahead, but it has the #s matching cool parts and body seems sound in vital spots. 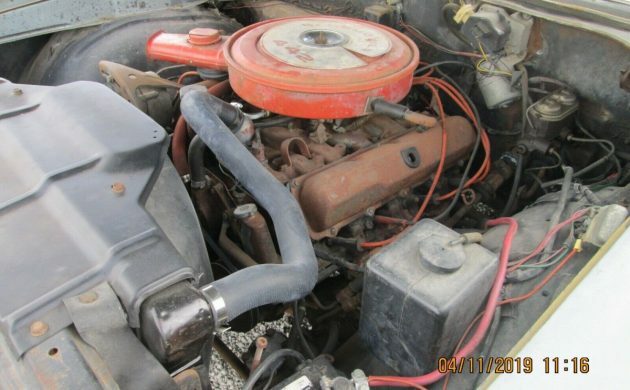 In today’s market of repops a 442 is not much harder to locate bits for than a similar Chevelle. With 15 bidders you’re not alone in this auction – I understand reserve is near, but I suggest you determine what you’re willing to pay and throw in a max bid on ebay. Be ‘wise’ as to what sum you choose as you could be beaten by a few dollars! X’ing my fingers for you James, happy bidding ! James Martin ; are you the winning bidder…? If the interior was in better shape along with new tires I’d drive it the way it looks now, I’m that warped. Hey, it’s a 442 with a manual gearbox, for some reason I like these better when they’re rough around the edges. I don’t know why that is. 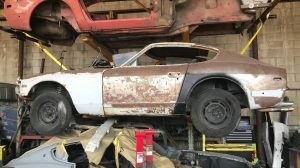 The whole under the radar thing on the Olds muscle is kind of news to me, but car guys and gals have always known about them. 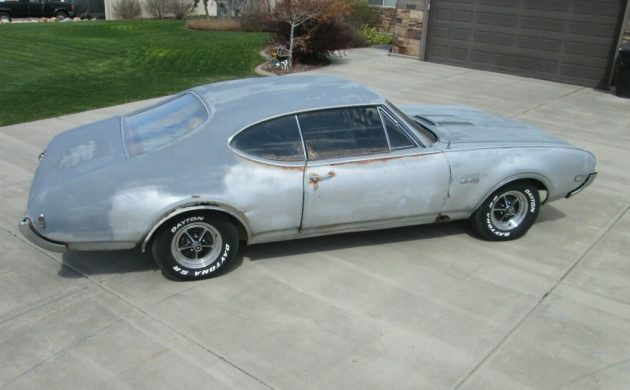 They never sold half as many 442’s compared to the GTO and the car mimicked the goat maybe a little too much. If any GM muscle car flew under the radar that would be the Buick GS, if it weren’t for the stage 1 455 of 1970 and its refound glory back in the eighties and boastful claims of being a hemi killer the interest would be less. My 1 cents worth.